Now through July 18, when the Sequim Lavender Festival ends, the following wineries will be open for tasting between 11 am and 5 pm daily: Olympic Cellars, Harbinger Winery, Camaraderie Cellars, Black Diamond Winery, Sorenson Cellars, FairWinds Winery, and FinnRiver Farm and Cidery. Tickets for the event are $25 and entitle visitors to complimentary tastings at each winery and a commemorative wine glass; if your ticket is stamped at all seven participating Washington State wineries, you’ll be eligible to win a gift basket. The wineries are also open to folks who do not purchase Wine and Lavender Tour tickets – wine tasting is $5 at each winery. During the Lavender and Wine Tour, these seven wineries will feature their finest Washington State wines, including new releases. Folks who start the tour during the week will encounter fewer crowds. Linger while you taste, enjoying conversation with wine pourers and/or wine makers. Talk about lavender, and discover which wines pair best when that delicious herb is used in cooking. 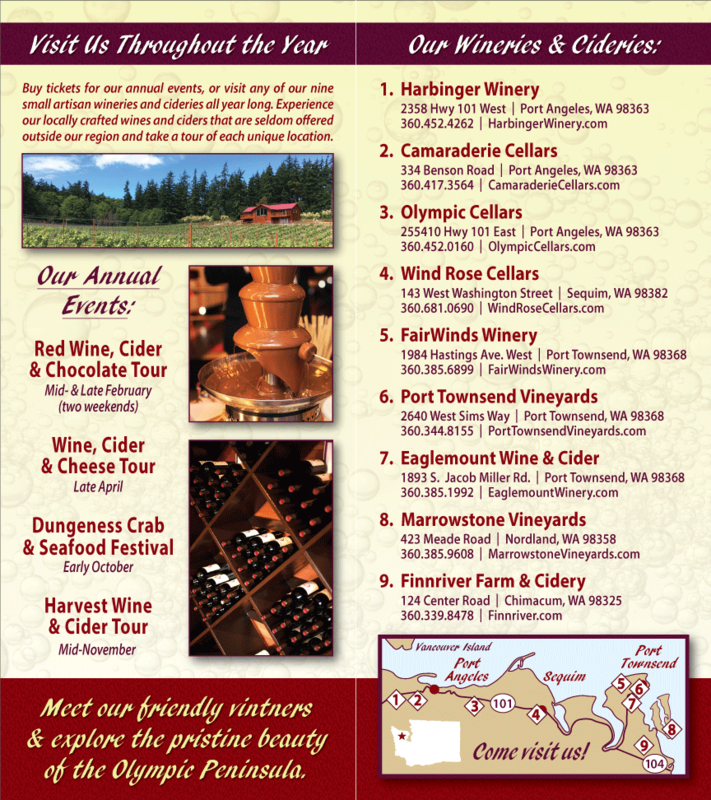 Pick up a few of your favorite vintages, and enjoy Olympic Peninsula wines at home throughout the summer. Photo compliments of the Sequim Lavender Festival.